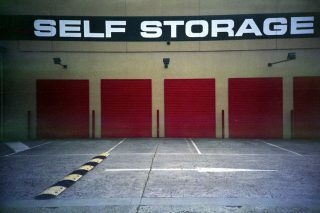 Self storage has become a very important service for many people, solving long standing problems of where to put belongings now that we are buying and keeping things more than ever before. Hoarders and enthusiastic collectors have known about self storage for years, finding it a haven to keep things that they can’t get rid of, or are not welcome in a house bulging with other important possessions. 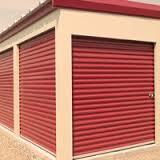 Self storage has been quite a normal commodity in the USA for decades. But with the rapid growth of self storage worldwide, any of us with too many possessions, or in the middle of an awkward house move or sale, or indeed in any sort of transitional phase, may find self storage to be the perfect solution for getting items out of the way. 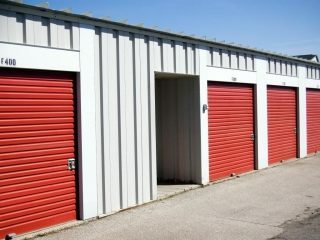 You may be asking at this point that there are several storage units near me, but which ones are the best ones and what should I be looking out for? Hopefully this site will point you in the right direction – we have a wealth of storage facilities visible on the map at the bottom of most of the pages of the site, and furthermore we have at the time of writing over a hundred articles about storage, what to think about, and important advice to be able to store particular items in the correct manner. After all, it’s one thing finding the perfect storage facility in your area, but it’s going to be no good to you if you’re haven’t got a clue about packing boxes or knowing about the pitfalls of keeping particular materials in tip top condition. It may not surprise you, due to its increasing ubiquity internationally, that self storage is a valuable industry worth billions. However the companies themselves vary in size and the general market that they cater for. You may get some family businesses operating small outfits with the aim to give a good value service to the local community; on the other end of the scale are the larger corporate outfits that crop up in every town; and there may be rather unusual types of storage or services that are undoubtedly covered somewhere on this site. What they all have in common though is the general model of business – which is that they offer space for rent to customers to keep belongings in. The size of the space may vary from a locker up to a warehouse, depending on the requirements. The rental agreement is worked about between the facility and the customer, although it’s usually on a rolling basis of month by month payment until the customer wishes to cease the contract. A month by month contract is obviously very useful, given the sometimes unpredictable situations involved in house move and sale. For businesses it is very helpful in times of expansion to be able to offload the archives somewhere, or even have a stock room off premises. You can keep what you like in there, and use the unit as you please, with only the rules of the storage facility and local or national law setting sensible limits. Some have managed to use their storage space very imaginatively, operating full businesses or hobby groups, but as much as you might enjoy your storage unit, living in one is certainly not an option! The contract itself stipulates the legal position of a storage facility. Your belongings are secured using your own lock that you are asked to supply. This is on top of all the other security arrangements that will be in place on the premises – there should be no way that self storage staff, or indeed any outsider, can enter your storage unit and access your belongings. Nonetheless storage providers will insist that you take out an insurance policy on the items you are storing, and may even have their own policy in place to sell to you should you not have one. However, the contract will sternly point out that if you fall behind on your payments, the contents of the storage unit become the property of the storage facility, and will be sold off promptly if the situation is left unresolved. It’s very simple all in all, and storage providers work very hard to ensure that you get the optimum storage solution. As such, you will find that storage outlets invariably have great access arrangements, with some even being possible to drive up to your container, and can provide you with materials to help store as effectively as possible. In some cases the storage company is operating in tandem with other businesses, ranging from house moving, to office space, to bespoke solutions for keeping cars, wine, you name it. 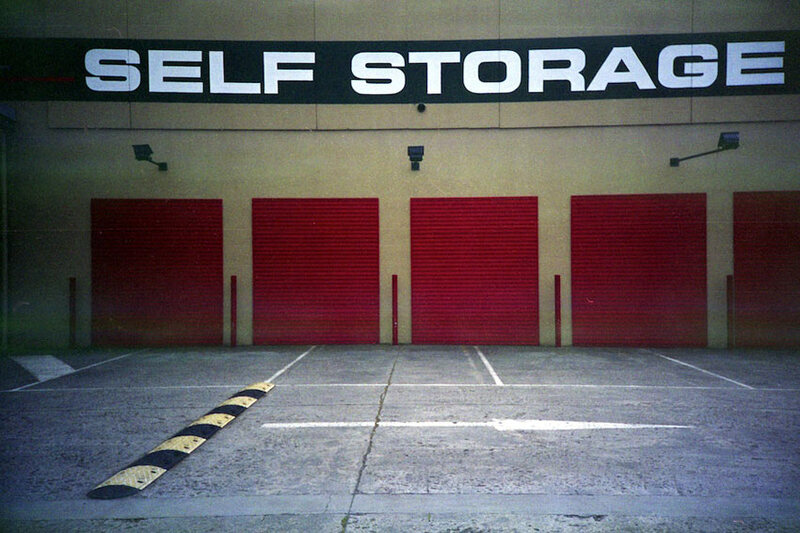 Self storage started rather humbly in the late 1950s in USA, growing gradually throughout the country, until seeing a far greater rate of growth throughout the 90s and 00s. For other parts of the world storage solutions of sorts may have been under the wings of local entrepreneurial types (thinking particularly here of buying and renting out garage space and shipping containers) until recent years. Whilst self storage facilities were commonly seen as the brightly coloured metal facilities on the high road out of town, they started to crop up in more residential areas for small personal usage. In densely populated cities such as London and New York, self storage has understandably become a fiercely competitive market, with local advertising and giveaway offers pulling all the strings to draw in the necessary customers. There are even services these days providing a doorstep storage service – simply fill up your container at home, and someone will drive it away to be stored in a warehouse; when you need your things back they will deliver them back. 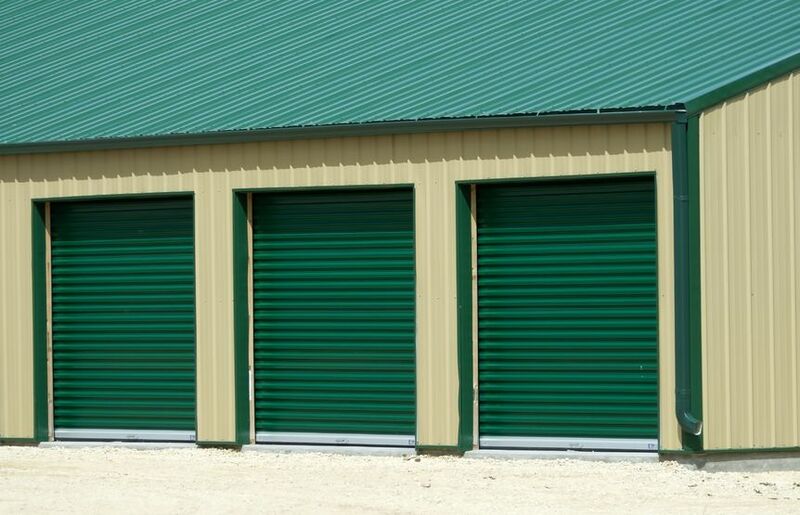 The classic model of the self storage unit involves a warehouse facility divided into many metal containers in various sizes according to the most common projected needs of customers. Usually there are no windows, and the only point of access is the front door which rolls up across the entire front of the container. In many ways it is live a metal car garage, and some people may indeed elect to keep a car in self storage in areas where it is conducive to do so. Access to your unit is very much dependent on the facility, with some having set opening times based loosely around an extended working day, and others opening 24 hours a day. In order to get inside the building you may need special access to the general grounds, usually via some sort of electronic access mechanism, and there will be CCTV and security patrols to keep the units further secure. As you may have guessed from the description above, apart from the security arrangements, self storage units are in the main quite isolate places. This is by design – there is no need to make them particularly homely since most of the time they are completely unoccupied. Hence you might find little lighting, except in common parts, or motion controlled lighting. The same attitude is applied to heating and electrical supply. This doesn’t necessarily mean however that your items should necessarily be kept in the freezing cold all winter, or in stuffy humidity all summer. Many storage outlets offer climate controlled storage as standard, which essentially regulates the atmosphere about the premises at the temperature and moisture level that is most suitable for keeping most domestic and business items. Through popular demand, self storage facilities have expanded their offerings quite considerably in some cases and are trying to lose their public image of being rather faceless rectangular constructs. With sufficient agreements in place, self storage providers have opened up their doors to businesses wishing to seek cheap commercial space in which to operate all sorts of facilities ranging from online retailers to gyms to band practice spaces. Some have gone down the line of opening up managed offices as part of their repertoire of services, complete with shared reception, back office facilities and meeting rooms, which can be of great assistance to companies making the first steps. However, it can still be said that the predominant usage of self storage to most people is for storing household items at times that they are not required or would get in the way. It is common with house sales and moves, that taking the possessions out of the home gives it more space so that potential buyers can get the full flavour for the actual size of the property they are going to be getting. Likewise when it comes to moving house, you might want to spend the early days of your time there doing some redecoration, without having to clamber around hundreds of objects and spilling paint on them. Self storage is also useful for making space should relatives come to visit, or a hobby or collection has got out of hand and requires a dedicated space. The applications are truly endless if you put your mind to it! A peculiar diversion in the ascent of self storage is a range of TV programs dedicated to storage auctions. These auctions occur when tenants default on payments and therefore have the rights to their property legally transferred to the storage facility. The items are then auctioned off, not principally to make money off them, but to encourage a fast emptying of the unit so that it can be rented to a new customer. There is a certain excitement about these auctions due to the fact that the bidders do not always have much of an idea what is inside the unit, as it is not fully opened until the auction has been won. As such, the winner of a unit may recover interesting valuables that can be sold on, and there have been some very valuable items left behind in storage units over the years, or on the other hand be left with items of questionable value that might be difficult to get rid of. Therefore, it is quite a competitive niche of the auction market, but at the same time requires a bit of a sense of humour too at times. 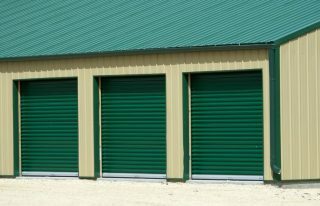 You will undoubtedly have at least one storage facility in your area, and it is worth visiting a few and seeing what their facilities and contracts are like before ploughing into one. First of all think about what you want to store, and get a rough idea of size so that you can discuss your needs with the storage provider armed with the facts. If you have a specialist hobby that requires very particular storage requirements, such as wine or cars, then you may have to search a little wider to find a company that is tailor made for these services, although they certainly do exist. With storage it is often a case of measuring up locality with the best deal on the table. Some companies may lure customers in with very attractive offers – it pays off to properly study the full length of the contract, as it will be found that further down the line you will charged a lot more for your monthly rental than when you started out. You will need to see how easy it is to get hold of your belongings at the times you need them. When looking at the best storage units near me, I found that the best deals were not in my surrounding area but a little further off, and since I did not require frequent access I was happy with this arrangement. Enjoy browsing this site for knowledge about storage and all that comes with it – indeed bookmark it for later and share with your friends. Have fun making the best of self storage! My husband and I are moving into a smaller apartment and we are looking for a great personal storage space where we can keep some of our bigger furniture. So thanks for pointing out that we should balance out things like location and how frequently you will need your belongings when choosing which facility you will be using. Since we won’t really need to be accessing our furniture until we move again, I will definitely try to find a personal storage facility that offers the best deal, even if it is a little farther away. I appreciate your tip to check a little farther out since self-storage facilities in surrounding areas will be able to offer you better rates. My husband and I are looking to rent a unit where we can start keeping some of our extra belongings until we buy a bigger house. We will definitely have to start our search for a self-storage facility by focusing on those a little farther away since they’re more likely to offer competitive rates.